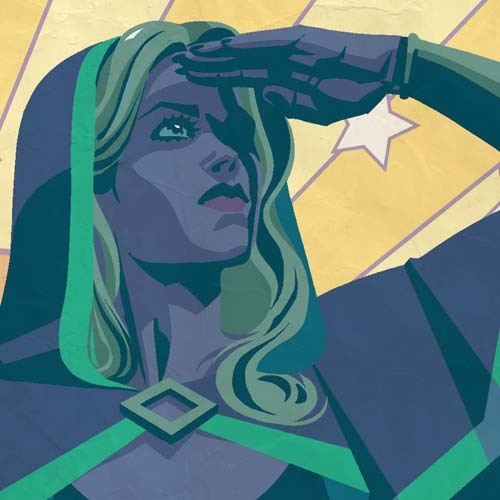 From a diverse team of creators composed of differing genders, gender identities, ethnic backgrounds and sexual orientations comes a groundbreaking new series featuring the world's first transgender superhero! As the world struggles to accept the emergence of a new kind of mutant species known as alterations, or 'Alters,' a young woman begins her transition from male to female only to find herself also transitioning into a powerful Alter. Faced with persecution by the multi-powered fascist known only as Matter Man, she will face the world as Chalice--a hero for a new age. But as Chalice navigates the path to becoming her true self, she must juggle the complications of her civilian life and the responsibilities of her newfound power. This groundbreaking series--years in the making--begins the saga of a young woman who can only really be herselfÖwhenever she is not herself.